Hii friends What is Google Datally App and how to use it, how it works,, and how it works, Google Datally App Mobile Data Saving These we will learn in this post today. 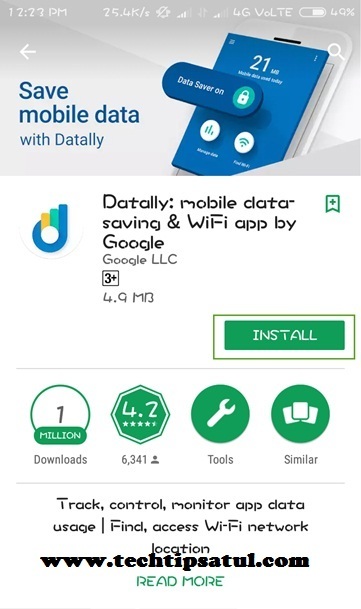 Friends Google has launched a new app called Google Datally App, Google has launched this app for Android Users, using it, you can find Data Saving and the nearest wifi on your phone. Today, everybody uses the Internet and they all want us to be able to surf or browse faster than the data spanned, even if you were funding the mobile data saving app. So here you are going to tell about such a great app. 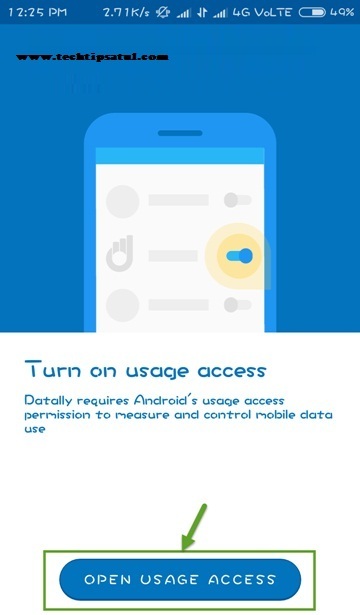 By using the data of your mobile, you can avoid having a high speed, along with more features such as data saver, data usage insights, bubble, daily limit, etc. 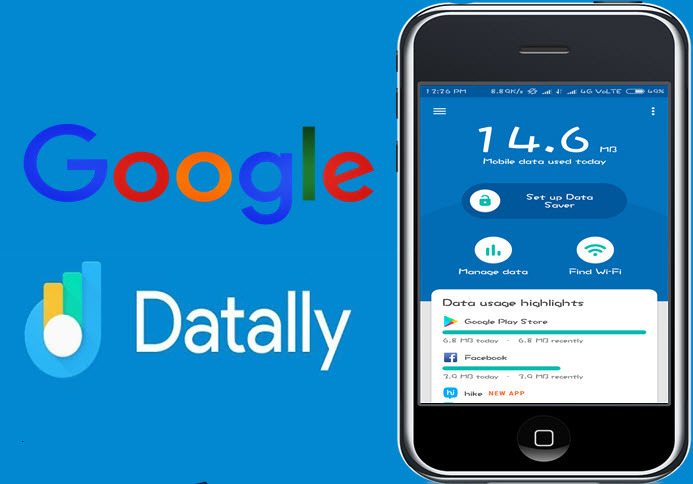 What is Google Datally App? And it's completely safe. 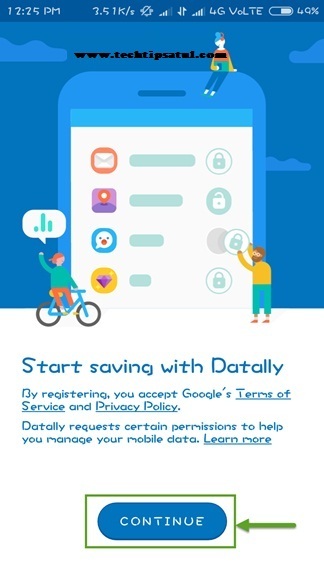 The Google Datally application has been launched on November 30, 2017, and so far this has been downloaded by Jayda people from 1 million, and its size is too small to counter the second mobile data saving app i.e. This is only 4-5mb size and its rating is 4.2 That's how you can datally anticipate the popularity. How Does Google Datally Work? Most data is spent on Android Phone, this is because, whenever you do data on your phone, the apps running in the background begin to use it and your internet balance ends in a little bit like your Near 1GB Limited Internet and if you enable the Internet in your phone then it will be that for a little while i.e. 2 to 3 hours to 6 hours, all the internet data will be spent. Because, as soon as you enable the Internet in your own phone, all the apps are installed in your phone and the data becomes available and it ends up consuming the data. In Google Datally, you can also view the static of monitor track and app uses of data and also gives you the option to create a VPN. That means that you can create a VPN and block the running apps in the background so that your phone's data will not be used in these apps and there will be less spends and you also get a Wifi Finder feature that you can use to connect your Wifi network Can find out. ➤First of all, you have to download the Datally App which you click on the lower button to download the directions. ➤Now let's open it and then you have to click on the Continue button. ➤After clicking Continue, it will ask you for permission to access the phone call, allow it. ➤You now have to allow this app to access the usage of another app. For this, click on open usage access. ➤You will be able to access the settings of your phone. Here you will see Datally and below it, click on it and enable it by clicking on the permit Usage Access box. Now you have successfully granted Datally App permission to manage the second application. Now you will see the Help Improve option here. If you want to give feedback about what improvements should be made in the Datally App then yes I agree and you will not get feedback. If you want to give, click on No Thanks. 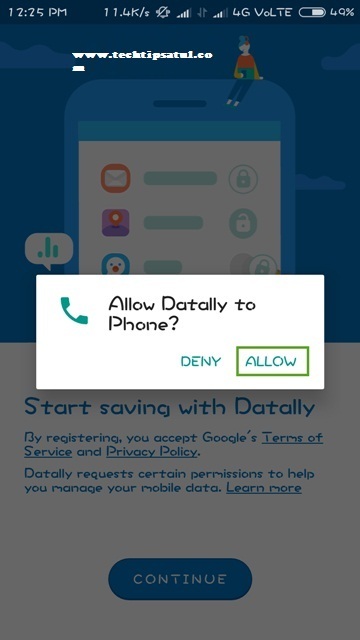 1.Set Up Data Saver - By using this option you can create a VPN from Google Datally App so that you can block the apps running in the background in your phone. 2. By clicking on the option of Mobile Data, you can see how much your mobile's internet plan has ended, that is, you can see all the data that was spent on your data morning, evening, night. 3. You can find your nearest wifi by clicking on wifi option, for that you have to give permission to datally app access to the location. 4. 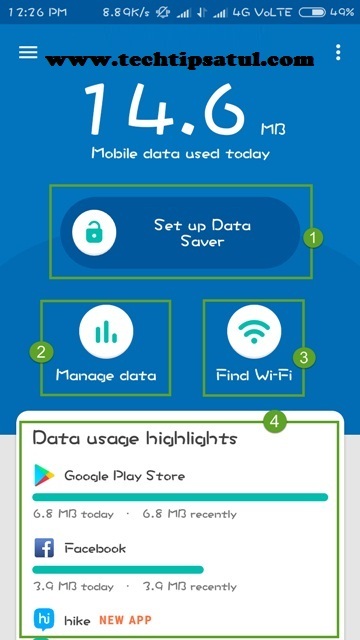 In data usage highlights, you will see all the apps on your mobile and the spent data in them. 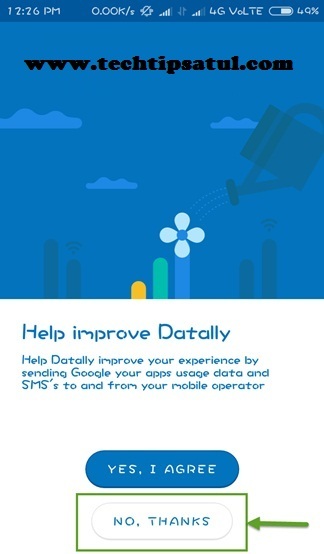 ➤In the Datally App's homepage, you will see the option of Set Up Data Saver, click on it. ➤As soon as you click on the Options with Set Up Data Saver, you will now be asked to create a VPN from you. You can click on the lower allow button. Now you want Datally Wants to the setup VPN connection. This message will appear only if you trust the source means that it is asking you to set up a VPN so that it can monitor the traffic with your network. network traffic means you can visit the site or app from the internet and monitor how much data you spend on etc. Now click on Ok to set up the VPN of the Datally App. When VPN will be activated when the icon that appears in the screenshot above will appear on top of you in the notification bar. ➤Now when the Friend VPN is active, the data spend in your background apps will not be there. In this way, you can easily save your mobile data. 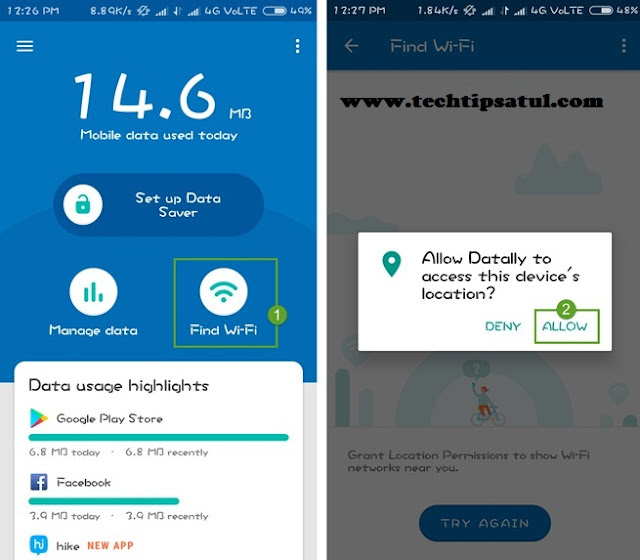 If you want to find Wifi near your Datally App that means you can find the closest wifi from your home in your city, you can also do this app by clicking on "Find Wifi" in Datally App for now. Permission for access will be sought by clicking Allow. After granting the location permission, you can see your nearest wifi connection here.